While trying to minimize your sugar intake, there are some foods and drinks you have to note. 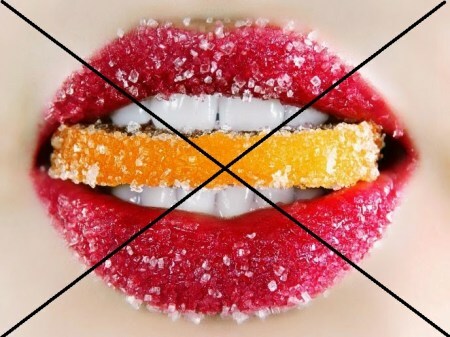 Some food contain hidden sugars, including foods that are considered ‘not sweet’. Such foods are marketed as ‘low-fat’ or ‘light’. A whole lot of fruit juice contain some minerals and vitamins. Although they seem like the best choice, these minerals and vitamins come with a large dose of sugar and a little bit of fiber. Here’s the hint; it takes a lot of fruit in order to produce a glass of fruit juice, so there’s much more sugar in a glass than you get by eating the whole fruit. Logically, you drink a large amount of sugar in no time. This type of milk that has been flavoured with cocoa and sweetener comes with extra 2 teaspoons of added sugar, compared to ordinary milk. Milk itself is very nutritious with a rich source of nutrients that are good for bone health, including protein and calcium. Despite all the nutritional benefit of milk, a glass of chocolate milk with the extra sugar it contains is not only useless but also unhealthy for you. Flavoured coffee is trending these days with the knowledge of the amount of hidden sugars it contains not known. A large flavoured coffee can contain up to 25 teaspoons of sugar.This is equivalent to 100 grams of added sugar, nearly 3 times what you would get from a can of coke. Smoothies can be a very great day to start your day. However, not all smoothies are good for your health. Some of them contain high amounts of calories and sugar. Many of the commercially produces smoothies come in large sizes and are sweetened with fruit juice, ice-cream or syrup which increases their sugar content. If you take BBQ sauce a lot, you should know that up to 40% of the weight of BBQ sauce may be pure sugar. It makes it easy to consume a lot of sugar without having the intention to. To make sure you’re on a safer side, check the labels to choose the sauce with the least amount of added sugar. You also need to watch your portions. Breakfast cereals are very handy as they make for a quick and easy breakfast food. Some breakfast cereal, especially for children have a lot of added sugar. Some contain 12 grams of sugar in every 30gram served. Just like BBQ sauce, ketchup, a popular condiment around the world also contains sugar. Try to be mindful of the amount of ketchup you take as a single tablespoon of ketchup contains 1 teaspoon of sugar. Like many low-fat products, low-fat yogurts have a lot of sugar added to them. Low-fat yogurt does not seem to have the same health benefits as full-fat yogurt. It is better to choose full-fat or natural yogurt.